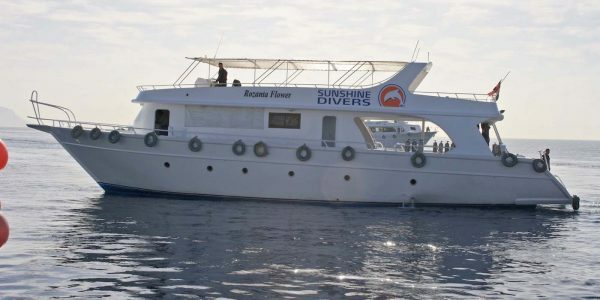 The Red Sea around our camp offers a lot of exciting spots, which we visit with our own dive boat. 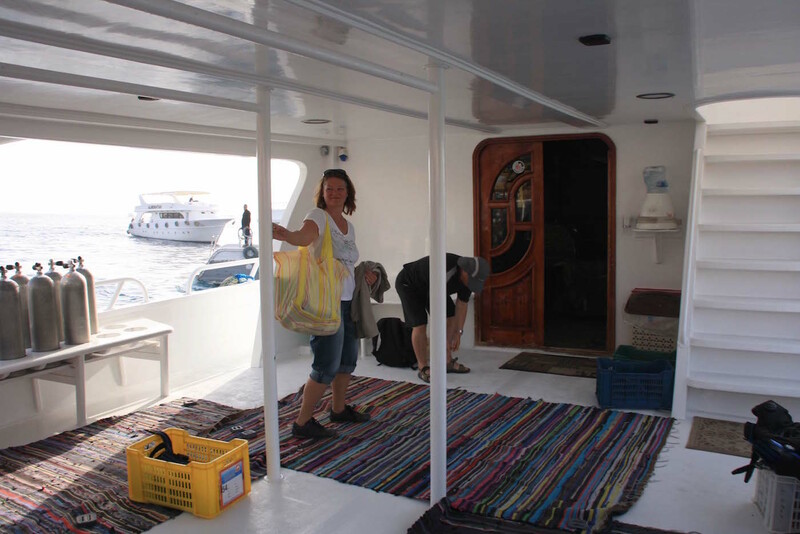 We have two things at heart: First, that we provide a nice, neat and technically perfect boat to our guests. On the other hand, that the crew knows their stuff. 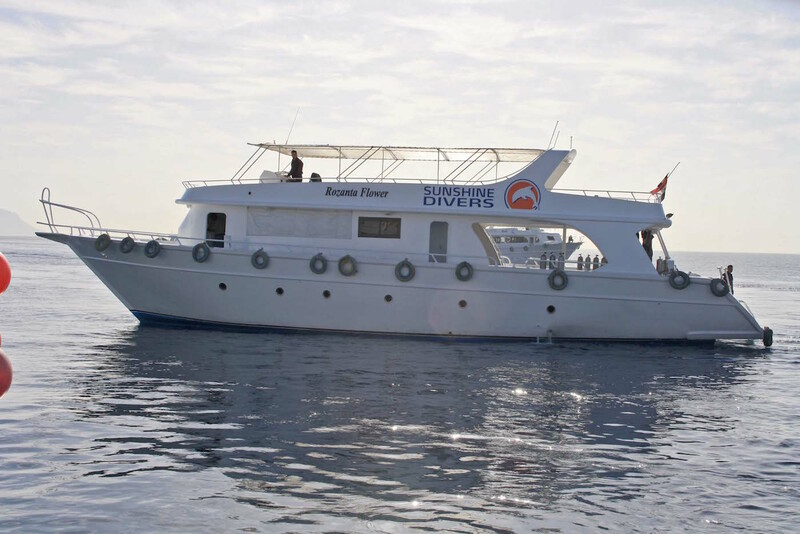 We have an experienced captain, who, together with our guide Islam, takes care of groups of maximum 7 divers on board. 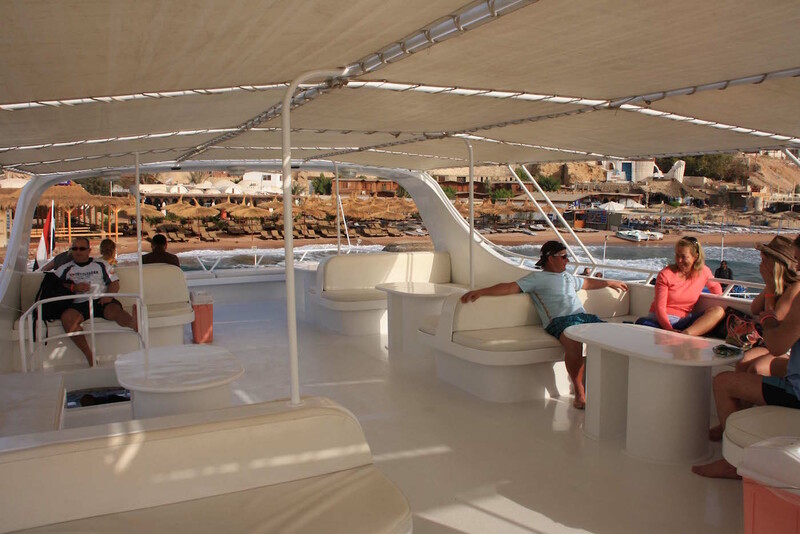 Safety and service are our top priority and so there is a briefing at every boat trip for the spot and its special features. For the repeaters among our guests, this means maybe hearing again familiar stories from Islam. 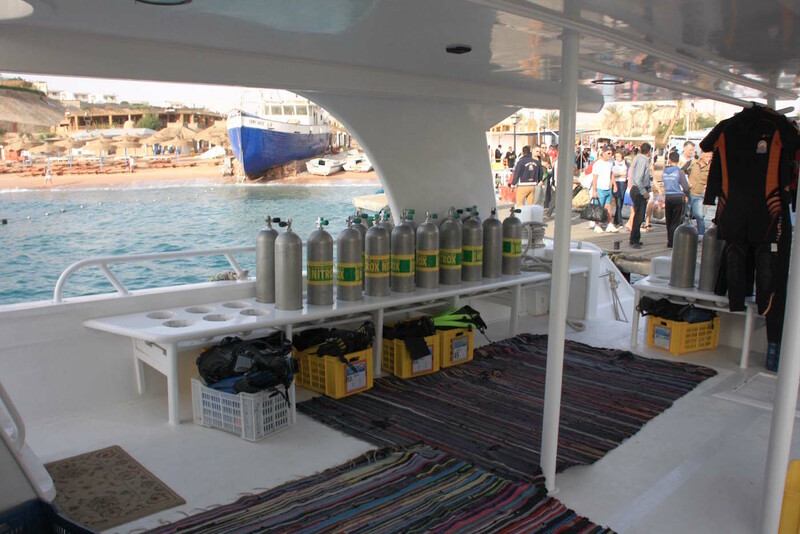 For all beginners and guests, who visit our bay for the first time, it secures greatest safety and a sound instruction around all the dive spots. Afterward nothing stops the undisturbed pleasure of diving. 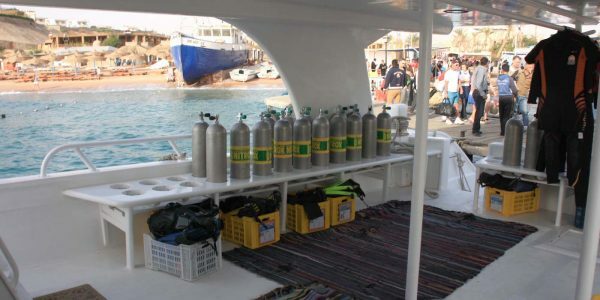 We offer two dives on our boat trips. 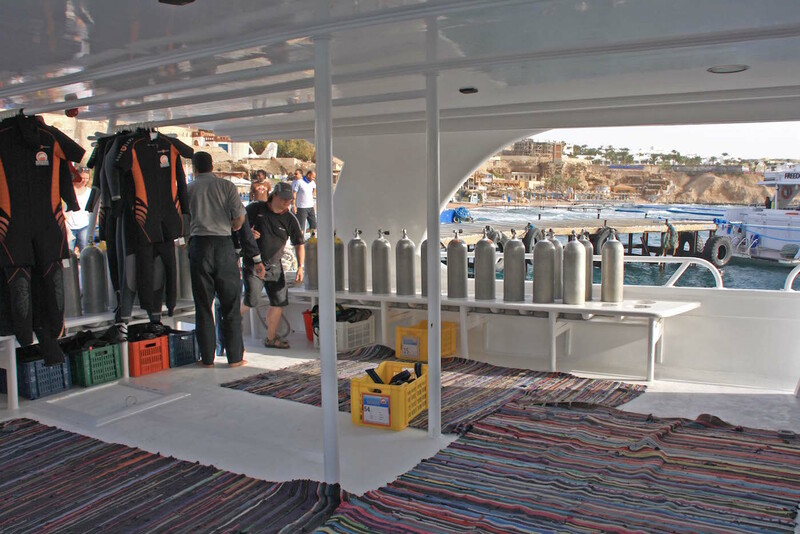 After we dived the first spot, enjoyed a sufficient surface interval and rehydrated at the drinks dispenser, we go to the next spot. 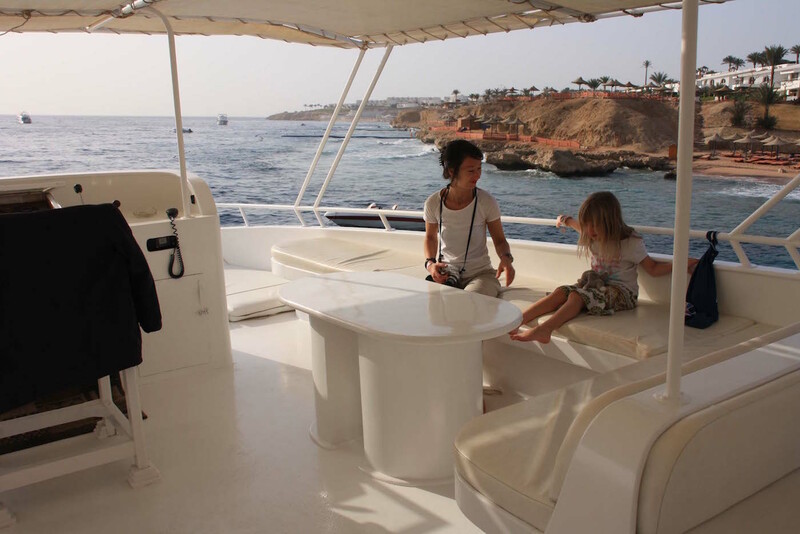 You won’t get bored, because there is a lot of pure nature to admire above the water too. 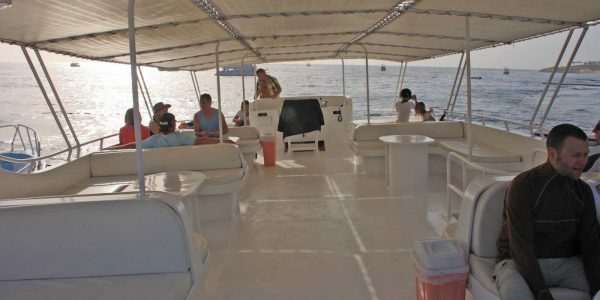 At the second spot, you will get a further introduction to the dive area, its flora and fauna and also to its peculiarities, such as currents and more. After you enjoyed this dive, you will get back on board. 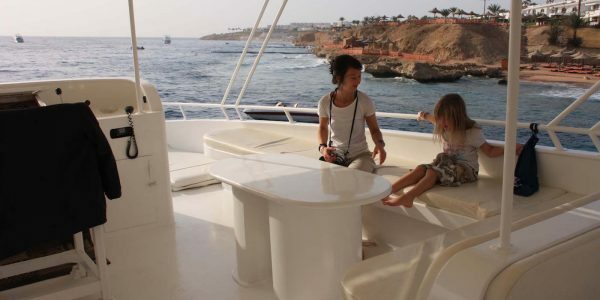 After the feast for the eyes in the two diving areas in the Red Sea, the call for a culinary delight is usually heard. 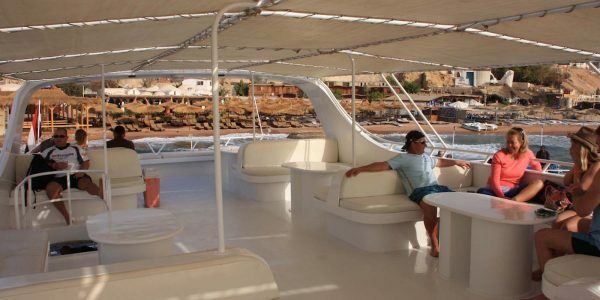 We will anchor in a quiet place and serve you a freshly prepared lunch. For those who are still not satiated with impressions and aren’t dozing in the sun after the meal, on request we make a third dive. 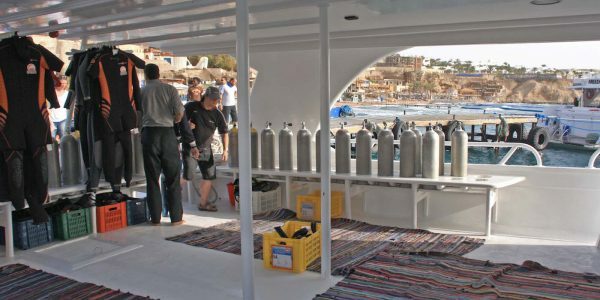 Speaking of naps, our groups of maximum 7 divers leave plenty of space for everyone to find their preferred place to spend the afternoon relaxing on the deck. Non-divers, maybe traveling with their partner: go snorkeling! 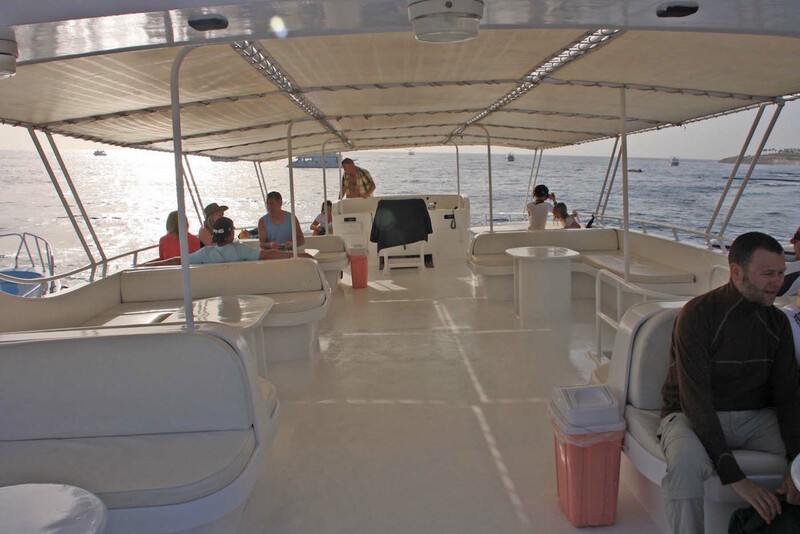 All of the spots are located close to the reef, so that you can take a look at the fascinating nature under water. And snorkeling isn’t a disadvantage. On the contrary, if your diving buddies have surfaced because the tank is empty, you can continue your rounds on the reef, as long as you like.